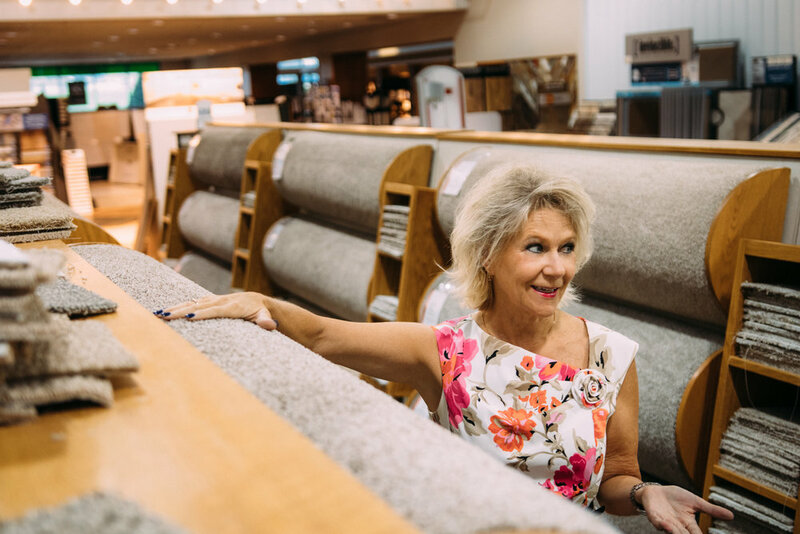 Cindy Wills has worked in the flooring industry for nearly four decades. Her present job title is flooring consultant at Carpet One of Rochester, but ’soother of nerves’ might be more appropriate. Originally from Peterson, Minnesota, Wills moved to the Med City to attend Rochester Community and Technical College. She’s been here ever since. That energy extends into her professional life as well. Her desk is a rotating blur of blueprints, orders, and customer projects. She also thinks of herself as a go-to expert on flooring, training, and employee questions. When she’s not making clients happy, she’s helping staff. “Some people dread it. Occasionally I will have someone come in and they don’t want to be here at all,” she explains. “They hate the idea of even shopping for flooring. My goal is to make it easy. When we get to the point that we are at my desk and we are finalizing things, I will say, "this really was kind of fun, wasn’t it?’” They’ll usually agree. Turning an overwhelming endeavor into a good experience isn’t Cindy’s only talent though, she’s also adept at guiding people toward the right selection.